Sidelined with a severe ankle injury at the 2013 Ultra Trail du Mont Blanc race in the Alps, ultrarunner Dylan Bowman drove to the aid stations along the course instead. He watched as race favorites like Anton Krupicka faltered and later quit 18 miles from the finish. Bowman realized that even if he had not been injured, he would have been woefully unprepared for the 103-mile race, with its 32,000 feet of climbing. He returned home to Mill Valley, California, despondent, and decided that he might need some help. Bowman knew that one of his peers, ultrarunner Dakota Jones, was having a lot of racing success while working with a coach out of Colorado Springs named Jason Koop. Ultrarunning isn’t a sport known for utilizing coaches, but Koop claimed a star-studded roster of long-distance runners who kept showing up and winning races. It had actually been Koop who’d reached out to Jones in 2012. He’d offered to coach him for free, and Jones jumped at the opportunity. Bowman contacted Koop the day he returned home from Europe. “I resolved to do what it took to be successful in the sport, and the most obvious thing that came to mind was to enlist the help of a professional coach,” says Bowman. Koop put the injured runner on a bike and assigned him intervals. “I could feel my fitness coming back immediately,” says Bowman. When he started running again, the 27-year-old felt like he was in decent shape. Koop cut his mileage almost in half and started him on a program of three interval, or tempo, sessions a week. “I responded immediately. The improvements came so fast,” says Bowman. Koop’s regimen revolves around heavy interval training. While some athletes claim that it’s too hard on the body, Koop stands by his science-based approach, and the proof is in the success of runners like dean Karnazes, who ran 50 marathons in 50 states over 50 straight days in 2005, thanks in big part to CTS and Koop’s approach. As ultrarunning continues to grow in popularity, the sport has, by association, become more competitive. Athletes contend for sponsorship dollars, and runners with more traditional racing backgrounds are increasingly making the transition from road marathons to trail ultras. The upshot of this change is that the training and strategy for races is shifting as quickly as the sport is growing—yet it’s still rare that athletes train with a coach. This is partly because few utrarunners will trust a coach who has never finished a 100-mile race. “Assuming all other things are equal, I’d obviously enlist the help of the experienced coach over the inexperienced one,” says Bowman. This narrows the pool of prospective ultrarunning coaches, but it’s also part of what makes Koop unique. Over the past nine years, he’s finished more than 38 ultra-marathons, 15 of which were 100-milers, and he often finished near the front of the pack, frequently in the top 10. Koop grew up in Dallas, Texas, and started coaching in high school. While in college at Texas A&M University, he ran on the school’s cross-country team, and double-majored in Biochemistry and Genetics. 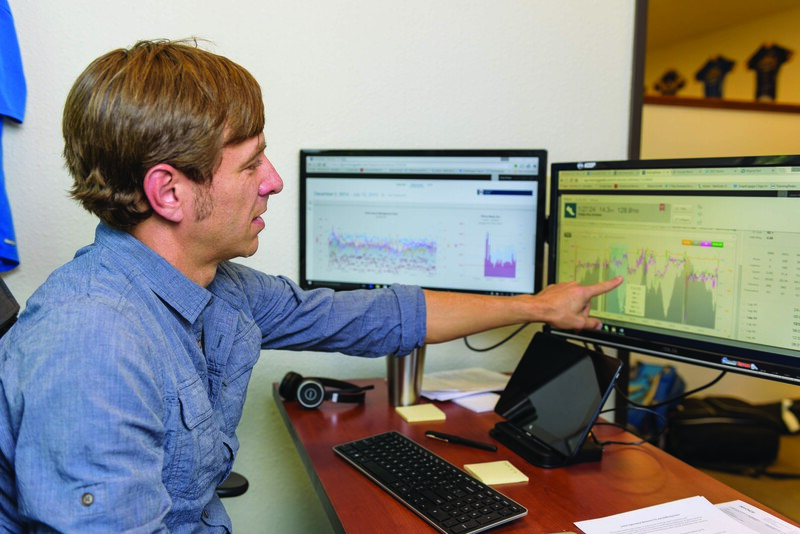 As part of the program, he was required to do an internship, which is how he ended up at Carmichael Training Systems (CTS), the Colorado Springs-based coaching company, headed up by wundercoach Chris Carmichael, that rode Lance Armstrong’s fame to its own financial heights. When he finished college in 2002, Koop was hired on to work as CTS’s first running coach. In 2005, ultrarunner Dean Karnazes needed a coach. He was planning to run 50 marathons in 50 states in 50 days. “There was simply no precedent for what I was trying to do. I figured the closest thing was the Tour de France,” says Karnazes, who employed Carmichael to overhaul his training regiment and make him more resilient to the day-to-day pounding of 26.2 pavement miles for 50 straight days. Carmichael designed the training program with Koop as the frontman dealing with daily communication. “They had me in the gym doing full-body conditioning and high-intensity interval training before Crossfit or any of that was en vogue,” says Karnazes. Carmichael had Koop, now CTS’s resident running coach, analyze Karnazes’s running gait. Koop tightened up his stride, increased his cadence, and had him tilt his upper body forward. “The idea was to try and take as much load off my legs as possible,” says Karnazes. “And it worked.” By the time they hit the road, Karnazes had put on 10 pounds of muscle, and had a new running form. Since then, Koop’s roster of athletes has grown to include two-time Western States 100 winner and course record holder Timothy Olson, Hardrock 100 second place finisher Mike Foote, Transvulcania winner Dakota Jones, and Dylan Bowman. Koop’s ascension into the coaching limelight hasn’t come without some controversy. He works for Carmichael Training Systems after all, a company that in many ways, only exists because of the Lance Armstrong lie. As Armstrong strung together one Tour de France victory after another, CTS grew into a coaching empire—by 2005, it had swelled to 48 employees, thousands of clients, and a library of bestselling books. At its peak, Carmichael charged $3,500 a month for personal coaching and a $20,000 minimum on the motivational speaking circuit for corporations like Microsoft and Nike. Then it all began to unravel. In 2006, Greg Strock, a once promising young road cyclist, sued USA Cycling and coaches Rene Wetzel and Chris Carmichael, claiming they administered performance-enhancing drugs without his knowledge or consent. Other members of the U.S. Junior National Cycling Team backed his claims in sworn testimony. Carmichael settled quickly, paying Strock a reported $20,000, while USA Cycling paid both Strock and Erich Kaiter $250,000 each to settle the suit. Carmichael doesn’t speak with journalists about his involvement, but in sworn testimony, Armstrong admitted Carmichael knew of his illegal performance-enhancing drug use as far back as 1995. His silence has only worsened the public relations nightmare for CTS, leaving Koop and his athletes to take the brunt of the vitriol. Koop swears that he never witnessed anything illegal in his time with CTS. The company has now moved on from championing and protecting Armstrong to scrubbing almost any mention of him from its website and office walls. CTS maintains that all the controversy over its owner’s involvement in doping, and his culpability in the biggest sports fraud of all time hasn’t affected business as much as one might expect. 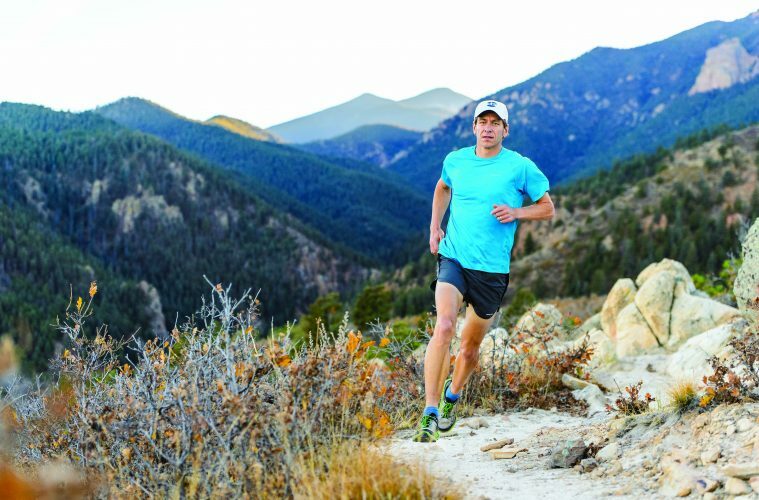 Matt Hart is a freelance journalist and ultrarunner based in Boulder, Colorado. Great article Matt. Interesting points on interval training. As a coach I use interval training for myself and my athletes. Most coaches would agree its an important part of training for success. Its a fine line to push your clients to the red zone and keep them injury free. Ive found communication is key not only after the workouts but during them. Huge fans of Koop and all he does. We are fortunate to work with several elite ultra runners who are coached by Jason and know them to be solid true honest people. Great article Matt. Thank you for the share. Koop is the real deal.